Taking care of your car after an accident can be extremely stressful. 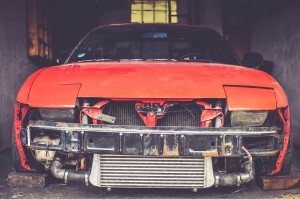 How do you find the right auto body shop in Reno to repair your vehicle? Can you find an auto body shop that will know what is a quick fix and what takes more time? There are a few simple traits you can look for that help you to know you are taking your car to a good an auto body shop. What do you need to know before drop off your car at an auto body repair shop? As you look into auto body shops in Reno, try to search for signs that the collision repair center has your needs as the first priority. Are vehicles secured while on the auto body repair shop’s property? A quick visit to the lot or phone call may answer this question for you. Will you know how long a repair takes after you bring your car into the shop? At Liberty Collision, we offer safe and proper repairs to get you back on the road safely. Our team wants to make sure you are getting the job done right the first time, so we offer a lifetime guarantee on all repairs. If something doesn’t look right, let us know and we will fix it for you. We also secure all vehicles on the auto body shop property, so you can rest easily knowing your vehicle is safe with us. If you are looking for an auto body shop in Reno that continues to strive for providing the best customer experience and having dependable repairs, take a look at any certifications. Certifications signify that auto body technicians and shop owners have taken hours of training to gain skill and expertise in the automotive field. Certifications can show an auto body shop’s dedication to getting the job done well! You can specifically look for auto body shops in Reno that hold certifications or whose technicians have had up to date trainings on the field of your automotive repair. If you would like to have your car repainted, you can look for auto body repair shops that have certifications or additional training done for working with paint. At Liberty Collision, we have continued our commitment to ensuring quality repairs and continuing our education in the field. Liberty Collision holds an I-CAR Platinum Certificate of Recognition for Achieving a High Level of Technical Training. Our Reno auto body shop has also received Silver and Bronze Medallion Awards in Customer Service from Ford Motor Company. If you want to know what your experience will be like at an auto body shop in Reno, take a look at what past customers have said. Look at various reviews on websites like Yelp to see if the auto body shop has received good feedback. You can get a good sense of your experience about repair quality, safety, and efficiency in no time! At Liberty Collision, our priority is to provide you with safe and proper repairs to get you back on the road. We have an estimator on our team at Liberty Collision auto body shop, so we can help you get a sense of how much time and resources will be required for your repair. We use a manufacturer database to ensure that our repairs are safe and match manufacturer requirements. 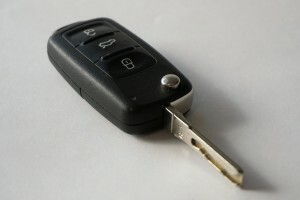 We also have a loaner car available for people whose auto insurance policies do not include a rental car. If you would like to learn more, read reviews from satisfied customers, take a look at some of our repair work in our gallery, or contact us to learn how we can help you on your next vehicle repair!